For those who haven’t been, Čitluk in Bosnia & Herzegovina is a small town, down in the south of the country rather near to Croatia. While something of a crossroads town with large, leafy trees that shield the streets from the hot summer sun, it also happens to be the main hub of wine production for the country. A number of solid wineries have their vineyards sprinkled about the fields that surround the town, producing the two main varietals: Blatina (a red) and Žilavka (a white). 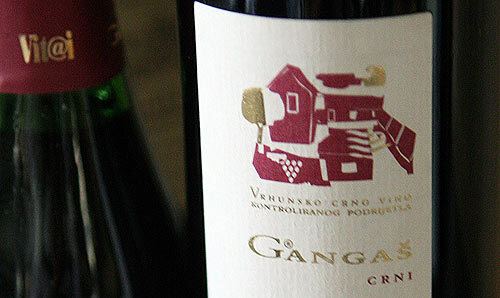 The name Gangaš graces many bottles commonly seen in the stores in Bosnia & Herzegovina from Sarajevo to Mostar and even sometimes in Split & Dubrovnik in Croatia. But, despite the well-known brand name, it is actually the Vitai winery that produces this wine. Vitai is at the forefront of changing perceptions and traditions in the Balkans, in that it is the only winery entirely run by women. Olivera’s (the mother) husband died quite unexpectedly, leaving just her and two daughters, Sanja and Anđa to handle the winery that he had built up during his life. It was a natural fit for Sanja who had attended the enology program in Zagreb. And it seems to be something of a natural fit overall as the winery is doing quite well, producing 75,000 liters a year of their eventual 150,000 liter capacity. 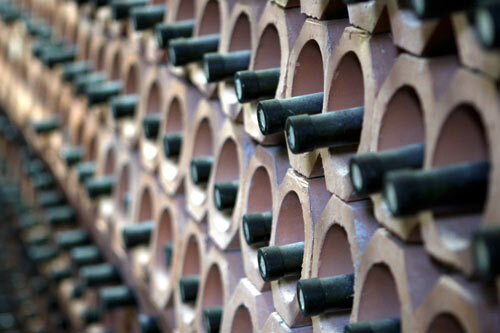 Their main cellar is 150 years old, but is not used as much these days because in 1995 they started construction on a much larger production facility to make their mark. In whites, they have 80% of their production focused on Žilavka while 20% goes in to Krkošija and Bena (two other native grapes to the regions that you see here and there). In reds, 80% of their production is Blatina with another 20% being Alikant Buše and Vranac. All of this is sourced from three hectares of their own vineyards as well as from 10 hectares from smaller producers near them. Their 2006 Žilavka is a very mellow white. It is one of the examples of the wine that has a great deal of citrus aroma in the nose as well as touches of green apple. The body is smooth and easy to drink. The 2004 by contrast spent more time in the barrique and is accordingly more oaky. It’s a much heavier wine than the 2006 which goes to show what aging will do to this particular white. Their 2006 Blatina is good, and the nose develops good berry and cherry aromas as it breathes. When tasting against the 2005 (which develops a more mineraly and meaty nose) it shows that the Vitai wines like to age and not be had young.